We live in earthquake country. But wait, there’s more! Some homes are in liquefaction zones, others in slide zones or high fire areas … and a few in several zones at the same time! They key is being informed so you know what to expect, and how to prepare your home for moving events. 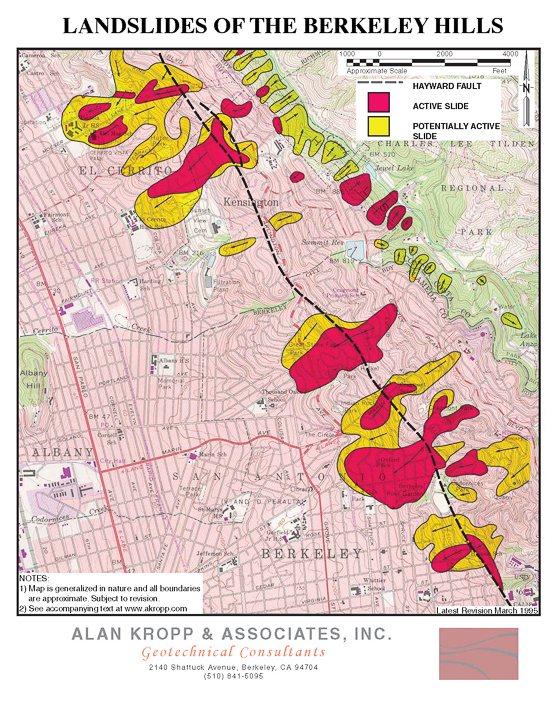 Alan Kropp & Associates created a very useful map of the Hayward earthquake fault and Berkeley slide zones. We refer to it often, so have downloaded it to our iPad. Berkeley Parcel Conditions and Permit History – enter address and click “parcel conditions” to learn if a home’s in one of these zones. Dave Ford, East Bay Retrofit, is the person we’ve entrusted to retrofit our own home, and recommend him to all our friends and clients.